Don was born on September 23, 1943 in Hillsboro, Oregon. He was the fourth of eight children born to Richard and Helen (Huff) Liesegang. He was born and raised in Hillsboro where he spent his childhood and early adult life and graduated from Hillsboro Union High School (1961). During the high school years, Don worked on the Duyck Family Farm in Hillsboro, where he met his future wife, Ruth Danley, while working in the strawberry fields. Ruth and Don became fast friends and following several years of friendship, they began dating. They were married on July 15, 1967 at Queen of Peace Catholic Church in Portland, OR. They started their life together in a small home in Hillsboro until 1973 when they moved to Roy. Don enlisted in the National Guard in 1964 and trained at Fort Ord, California. He remained in the National Guard for six years before being honorably discharged in February of 1970. During his service in the National Guard, Don had started working as a welder for Noble Craft and then was hired with ESCO Steel Foundry in Portland where he worked until retirement in 2001. Don loved his friends and family above all things. He was more than friendly and made friends where ever he went. He knew no strangers. Don was always there for his family, friends and neighbors, always lending a helping hand. Don was an avid horseman and was often seen riding his horse (Disco) in and around Roy. He enjoyed hunting, fishing, horseback riding trips with friends, spending time at the Huff Family homestead and traveling the western United States and Canada with his wife and family. Ruth and Don used their trailer to go camping and explore the outdoors. Don had a strong passion for softball and touched many hearts as a coach for the Banks summer softball teams and an ASA umpire for many years. Among all the other jobs, hobbies and passions Don had, he also was a woodworker, beekeeper and taxidermist for many years. He is preceded in death by his parents and a brother; Richard. 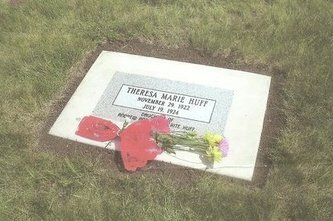 He is survived by his loving wife; Ruth, four daughters; Lorrina Tunnell of Cornelius, Donna Gustafson of Forest Grove, Jennifer Hernandez of Hillsboro, Deanna Rusk of Washougal, WA, six siblings; Jerry, Betsy Jones, Charles, Larry, Phyllis Jensen, and Ruthie Liesegang-Bradley, thirteen grandchildren and two great grandchildren.